2018 is the twentieth and final year of the Inventory and Oral History Project. The below information is intended as background only. SAI is frequently asked how an artist can become one of SAI’s Artists and be included in our library of oral history video interviews. An explanation of the process follows. The artists videos online at this website were produced as part of SAI’s Inventory and Oral History Project. The project has two components. One involves assisting the artists in the process of inventorying their artwork. The other is producing the video interviews. SAI does not select the artists for participation. Sponsoring institutions make that selection. The manner in which they do so is totally of their design. Sponsoring institutions are usually colleges, universities, or museums, but other institutions could qualify. Within those institutions the selection process could be managed by an art education or art history department, a docents’ organization, or others who are well acquainted with senior artists and their artwork. 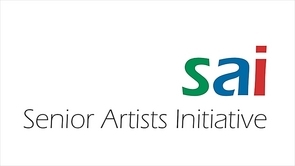 To be considered a senior artist by SAI’s standard the artist must be 55 years of age or older and must have achieved a reasonable level of recognition as an artist. That recognition must include being exhibited and can include commissions and experience as an educator. The sponsoring institutions are a critical component of the project. Without them the project would be impossible since they provide assistance through interns or docents to work with the artists they select to begin an inventory of the artists’ works and to plan the content of the video interview. Each sponsoring institution makes a $500 grant to SAI for each artist it sponsors. Those funds are used to fund the educational and planning process for the videos as well as the video production and work required to install and maintain the videos on the Web. SAI provides training and materials to assure all involved are prepared to fulfill their role in the project. There are two training sessions a month apart and a third meeting celebrate the completion of the project and watch excerpts from the current artists videos. SAI has specialists in the inventory process and in video production on hand to train the participants. These specialists are professionals with decades of experience. In 1999 when the first videos were made all the video work was done by volunteers with a video camera. Later, videography students from local universities were used. Today, professional videographers do most of the videos. In some cases the sponsoring institution provides its own production team. Regardless of who does it, SAI’s goals is to continually improve the quality and the accessibility of the videos. Artists interested in being sponsored should consult with a prospective sponsoring institution before contacting SAI. Institutions interested in participating in the Inventory and Oral History Project should contact SAI by email.